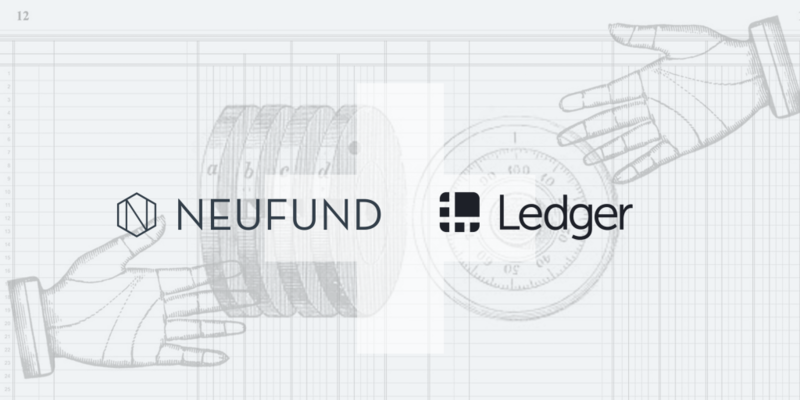 Neufund, the end-to-end solution for securities tokenization and issuance, announces its partnership with Ledger, a global leader in securing crypto assets. This collaboration aims to develop a framework for security tokens. “Currently, Ledger’s hardware wallets are the safest way to set up and manage investments conducted through Neufund’s set of protocols. With operations in the 7-9 digit (€) range, security becomes a the top priority. Enabling investors to manage their ERC-20 based equity tokens directly from a desktop app will disrupt the way we interact with our crypto assets,” says Zoe Adamovicz, CEO of Neufund.